> Role for ISTQB Certified Professionals. 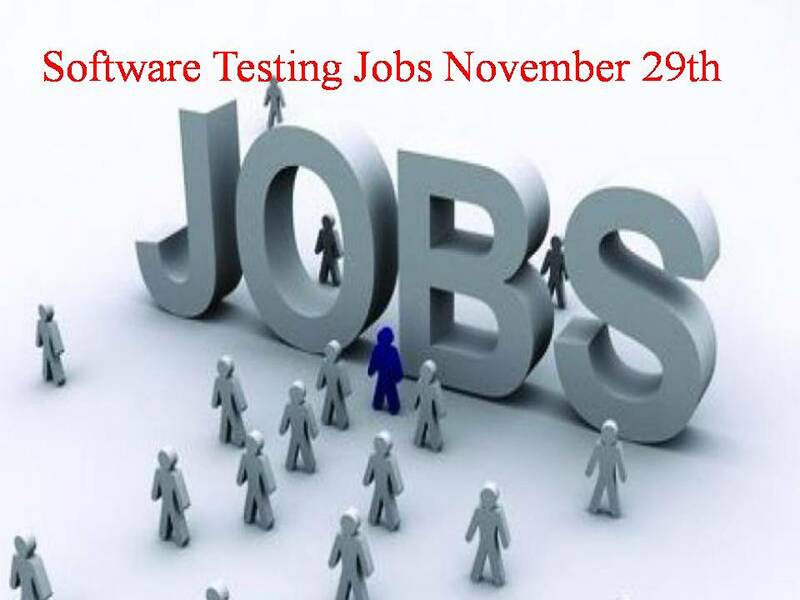 > Testing (Manual / Automation) : 2-8 Years, Skills : Manual Testing, Automation Testing with Selenium, QTP/UFT etc..
> Understand web application features / requirements and define test strategy, test plan and business scenarios. > Experience in manual testing. > Design business scenarios for manual testing. > Must have experience in web application testing. > Analyzing the requirements from the client. > Problem solving capability to provide workaround if required. > Deriving test scenarios / outlines. > Prestigious MNC working on Software Testing & Quality Assurance Services is looking for talents for its operations in Bangalore. > Uses JMeter to design and execute load and performance tests against Web applications, web services, batches applications and databases. > Design and execute full performance test including Peak, Stress, Soak, E2E PT , etc. > Monitor, gather, and analyse application performance on Unix/Linux Servers, Windows Servers, or cloud environment. > Proven Experience in test automation & automation frameworks. > Experience in open source automation tools like Selenium WebDriver . > Extensive testing experience with Web Based Application. > Good technical skills including knowledge of operating systems, databases, SQL, JAVA . > Experience of working with Agile/Scrum teams. Resource shall have good hands on experience on MS Dynamics CRM with below capabilities. conducting business User/Stakeholder workshops to elicit business requirements, understand the As Is process and based on information gathered chart out the To be process. Well versed with requirements gathering and analysis, preparing business requirement and functional specification documents, test plan and test cases, UAT, end user training and coordination between onshore/ offshore teams and business users. Resolve any conflict which might arise in understanding of what has been documented in all project related artefacts . Coordinate with technology teams to plan out resourcing, deliverables and timelines. Experience between 5 to 8 years with good communication skills, client facing capabilities with learning attitude and coordination with offshore/Onshore and external teams. Immediate Opportunity for Performance Testing Team Lead in Bangalore. > Uses JMeter to design and execute load and performance tests against Web applications, web services, batches applications, and databases. > Design and execute full performance test including Peak, Stress, Soak, E2E PT, etc. Company Name : 2Coms Consulting Pvt Ltd.
> Working knowledge on the Framework creation for automation. The Software Quality Assurance (QA) Analyst will be responsible for the ongoing quality assurance, creation of automated tests, manual testing and validation of releases to ensure compliance with Momentums quality standards, product specifications, and documented requirements. > Responsible for creating and executing reusable detailed test cases and other test documentation/strategies to ensure end-to-end test coverage. Test Engineers are expected to perform static testing of documentation, create questions/clarification logs, produce test conditions, scenarios and scripts as required, data preparation, test execution, take test evidence, record results, and defect logging. > Working knowledge of web technologies including REST, JSP, Servlet, XML, HTML, Portals, Web Servers, etc.